Obesity is a major health issue worldwide, but finding solutions to the problem is amazingly complex. Google searches reveal an overwhelming amount of information on the topic. There are more than 28 million websites dealing with preventing obesity and more than 83 million on treatments to reverse the condition. Spending even 10 minutes browsing obesity-related sites will get one's mind spinning due to the plethora of contradictions related to the prevention and treatment of obesity. A new and extensive report from Swedish scientists challenges our standard recommendations for the dietary treatment of obesity. For more than 30 years, the public health messages in the U.S. and many other countries have emphasized consuming a diet low in fat and high in complex carbohydrates from whole grains, legumes, fruits and vegetables. It seems logical that reducing dietary fat is the best way to reduce body fat. Certainly, fat in the diet can be efficiently stored by the body as fat. However, the report from the Swedish Council on Health Technology Assessment questions the low-fat assumptions. A large panel of scientists conducted a two-year review to systematically evaluate 16,000 studies on diet and obesity. Question: What did the Swedish report find? Answer: First of all, the report was not designed to provide specific dietary advice. Rather, it evaluated links between food, weight, disease and death in obese people. The report acknowledges that there is likely a good deal of individuality involved in weight loss and that a type of diet that works well for one person may not be effective for another. However, some fairly consistent evidence was found for several things. For short-term weight loss over about a six-month period, the scientific evidence indicated that cutting down on carbohydrates in the diet was more effective for achieving weight loss than reducing dietary fat. When low-fat diets were effective, they had higher protein content and a lower glycemic index (likely from more vegetables and legumes). For longer-term weight loss, there was less evidence to support any specific type of dietary approach. But there was evidence that low-fat diets with a low glycemic index and high protein content helped to maintain reduced weight after weight loss. However, low-fat diets did not benefit cardiovascular health as much as Mediterranean-style diets that included olive oil or nuts. There was evidence that increasing the intake of milk and milk products or drinking fewer sweet drinks like sodas and fruit juices promotes weight loss both in adults and children. Interestingly, the committee found evidence that obese people who drink the most coffee have a reduced risk of developing diabetes. Similarly, the risk of diabetes was lower in obese people who consumed moderate amounts of alcohol compared with those who consumed little or no alcohol. 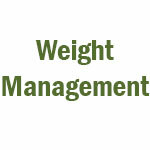 Q: Why are there so many contradictions about diet and weight management? A: One potential problem is the assumption that diets that keep people at a healthy weight should work to get obese people to a healthy weight. Dietary recommendations based on research on normal healthy individuals may not apply to people with a health condition like obesity. The recommendations also may not apply to people with a genetic background that is different from those who were studied. Alan Titchenal, Ph.D., C.N.S., and Joannie Dobbs, Ph.D., C.N.S., are nutritionists in the Department of Human Nutrition, Food and Animal Sciences, College of Tropical Agriculture and Human Resources, University of Hawaii-Manoa. Dobbs also works with University Health Services. © 2014 Oahu Publications Inc.